Asian elephant Gypsy is emblematic of all that is wrong with using elephants in entertainment. September 22 marks Elephant Appreciation Day – a time to consider the importance of these iconic animals and how we can ensure their survival. It is also a day to contemplate the abuses elephants suffer in captivity. Born in the wild around 1967, Gypsy lived in a rich and dynamic natural world, cared for by a loving, protective family. But things soon changed. Profiteers violently kidnapped the young calf and sold her into a life of captivity and the horrors of the circus. 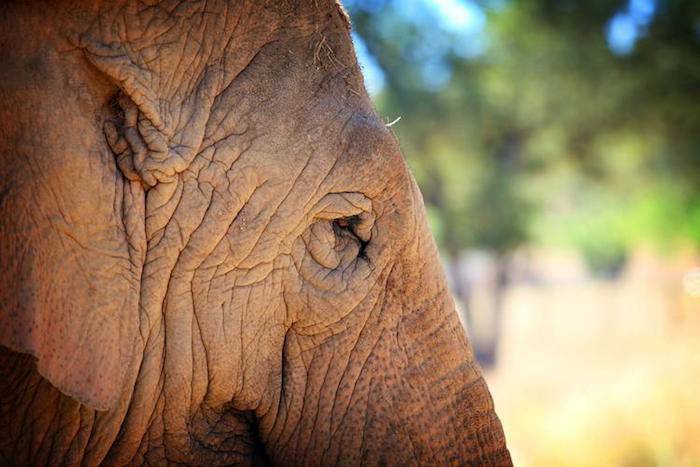 Gypsy endured almost 40 years of near constant chaining, performing at the point of a bullhook, and continuous travel. She gave birth to a calf who was torn away from her, only to die young. 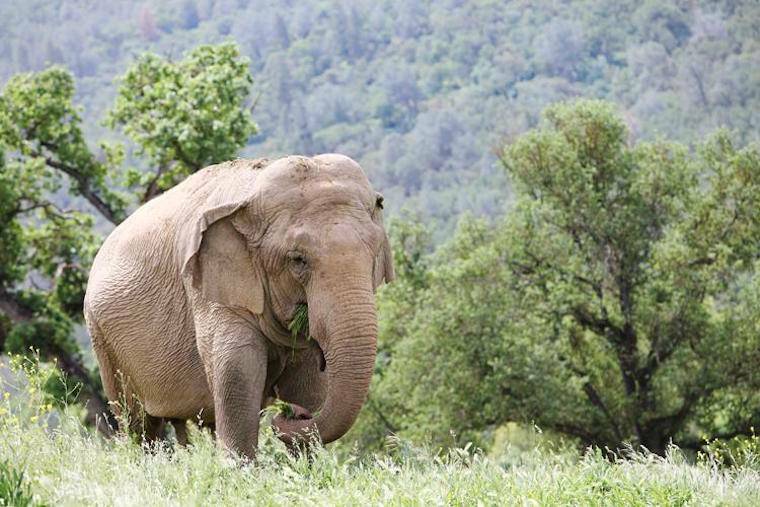 Traded between circuses at least a half-dozen times, Gypsy never knew a long-time home. The blaring circus music, endless travel, bullhooks and leg irons are now just a bad memory. ﻿Today, Gypsy spends quiet days in a natural habitat filled with tasty grass, a pond for swimming, and shady oak trees. Won’t you show your love for Gypsy by making a donation today?